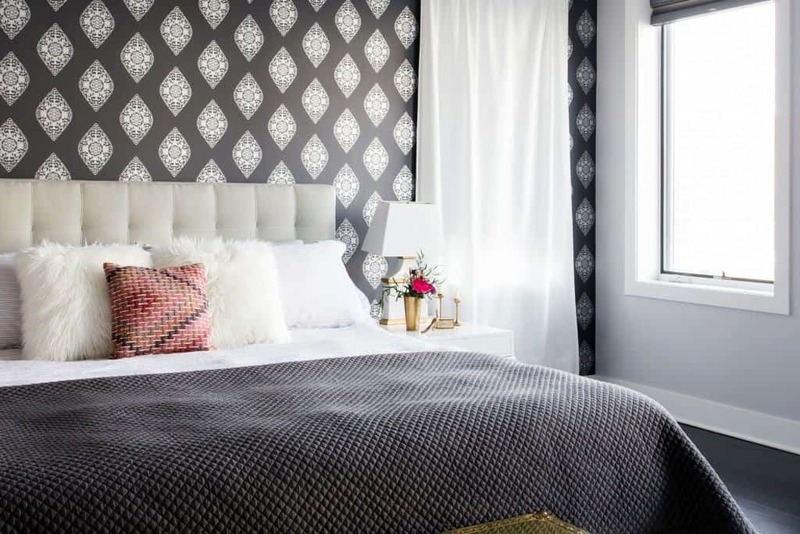 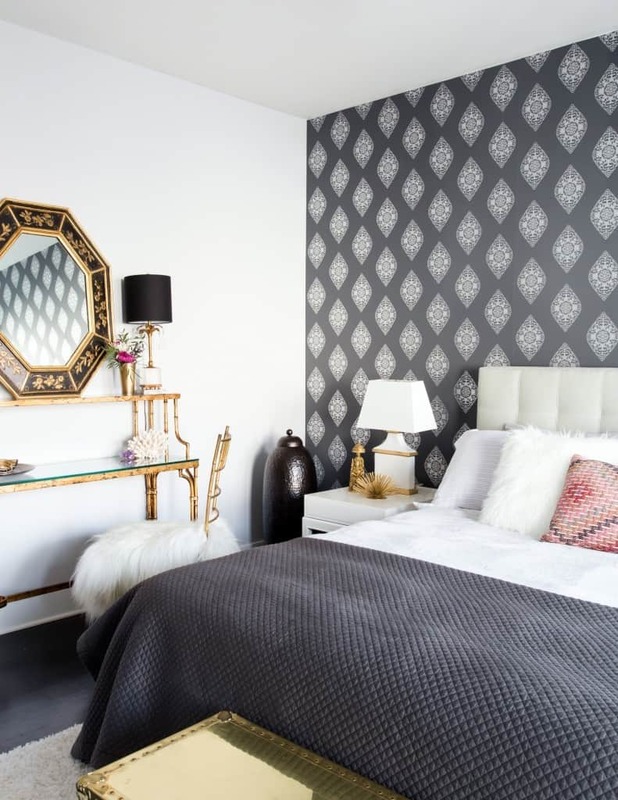 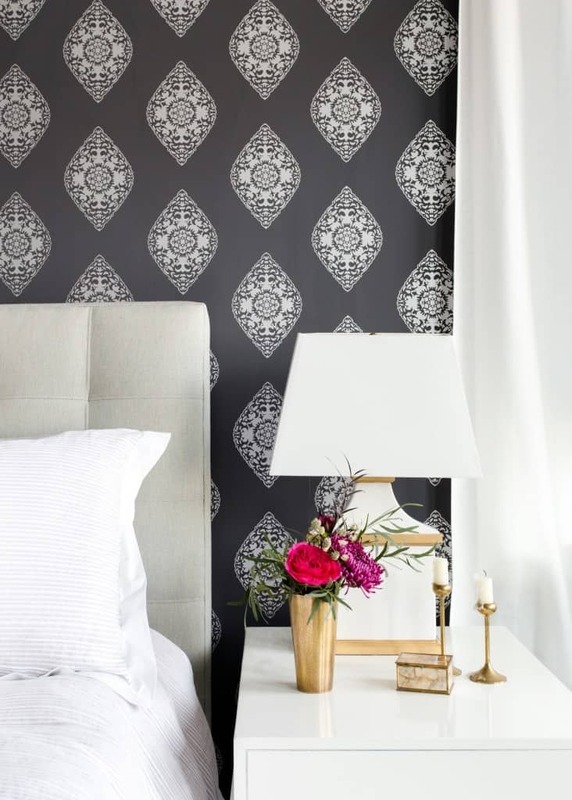 In collaboration with wallpaper brand Relativity Textiles, this bedroom was designed for a modern couple who love global decor and the color gray. 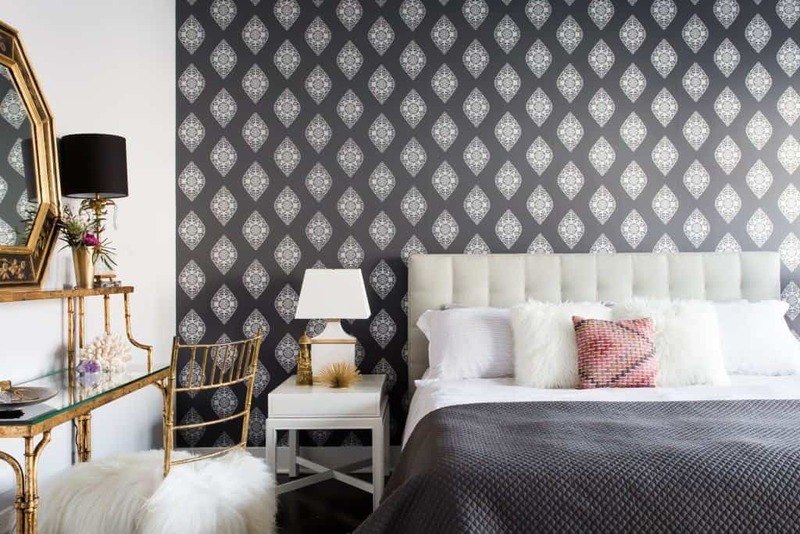 This project was featured by online design source Rue Magazine in 2016. 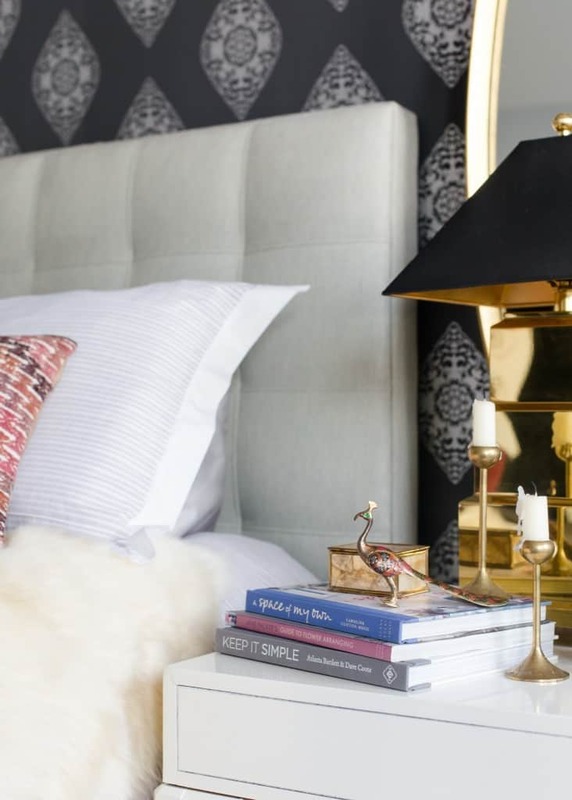 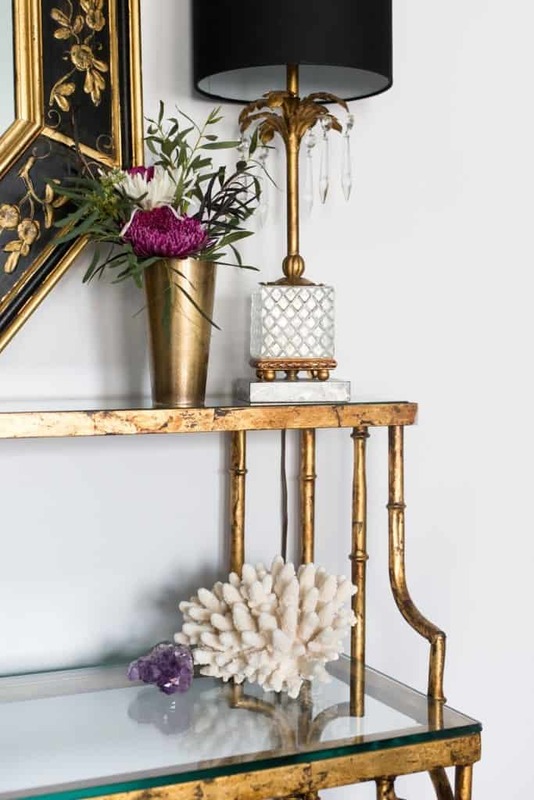 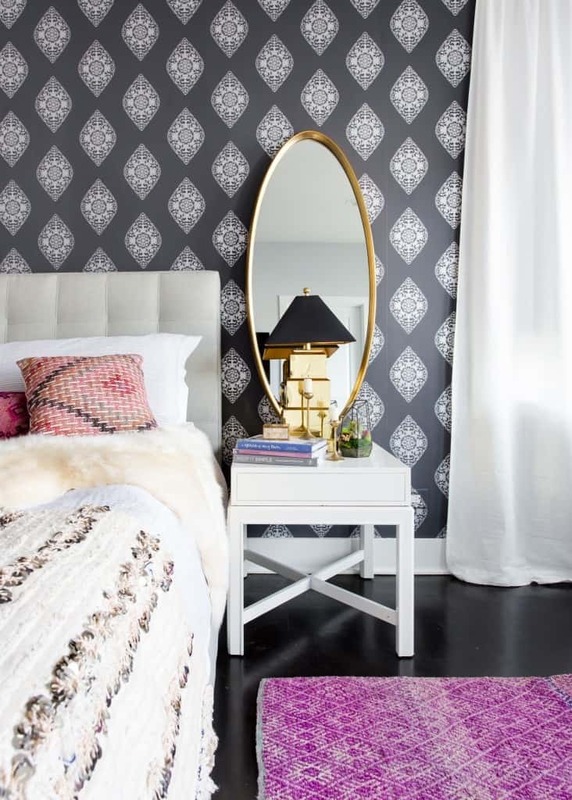 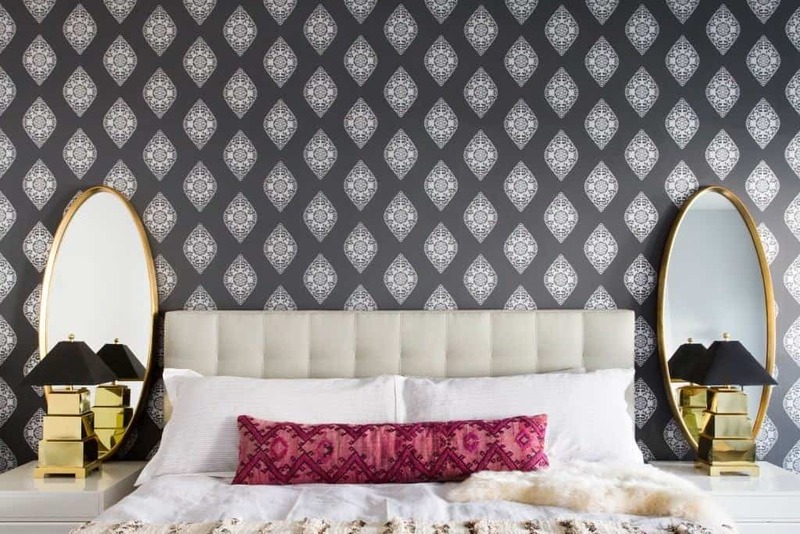 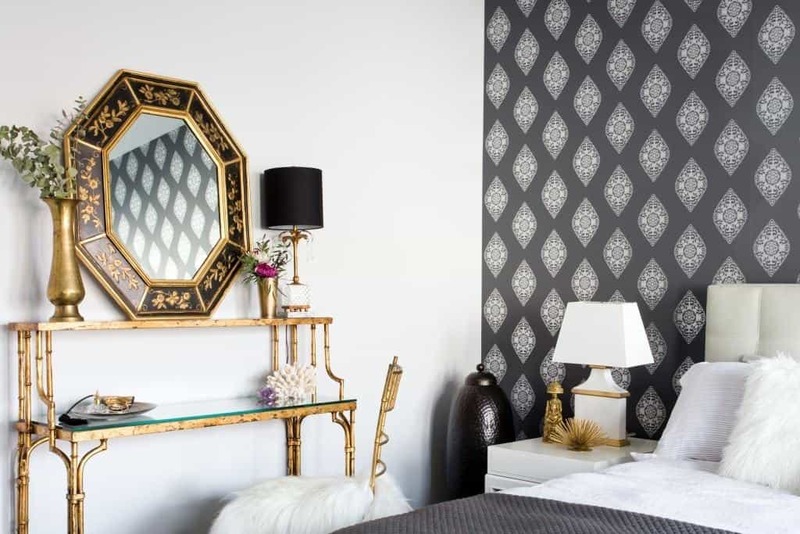 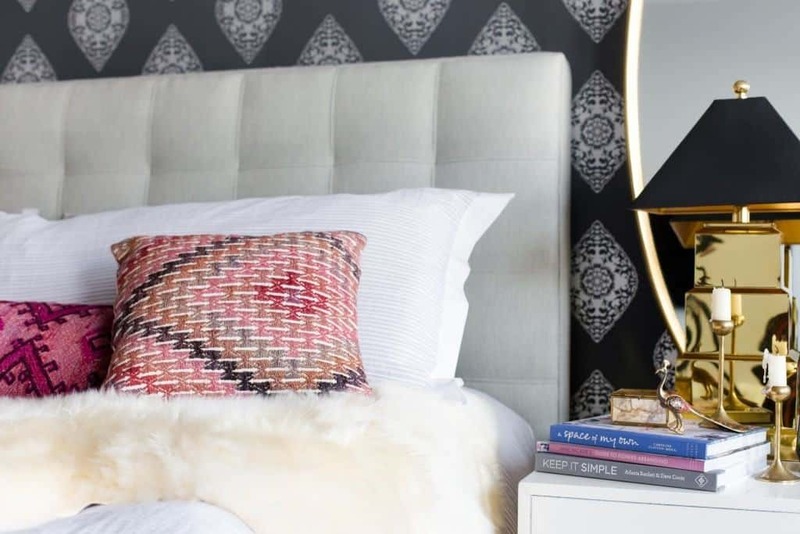 Bohemian bedroom decor takes on a luxe look when combined with dark flooring, rich metals and soft textures.